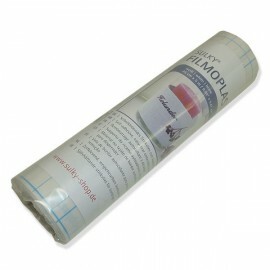 SULKY FILMOPLAST is a self-adhesive tear away backing. Sulky Filmoplast is a temporary, self-adhesive, tear-away stabiliser that is ideal to use on items that cannot be hooped or are too small to fit in a hoop. 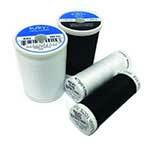 Great to hold small areas like pockets, edges, cuffs, collars, etc. 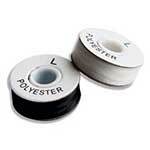 It eliminates hoop marks on fabrics like sweatshirt fleece, suede, velvet, brushed velour, brushed denim, silk, flannel, knitted fabrics and caps.